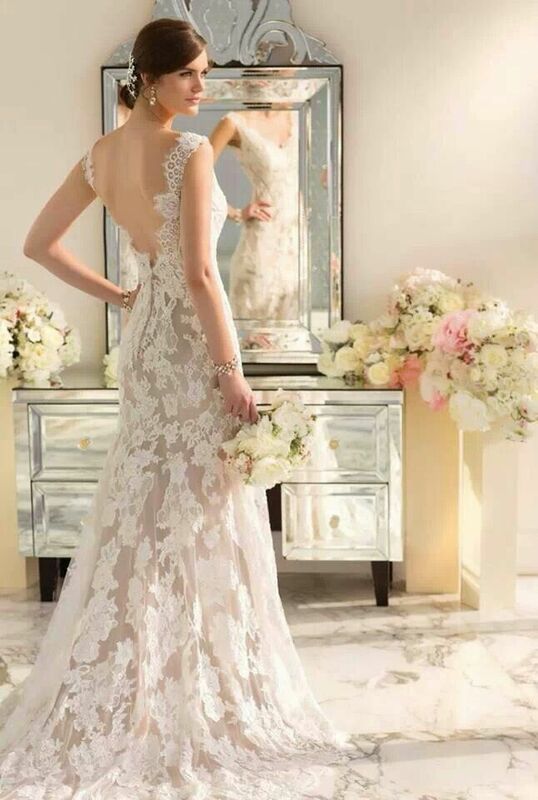 Few things can make as dramatic a statement as the perfect wedding hairstyle a backless wedding gown -a drop dead detail that is sure to have all eyes focused on you as you make your grand entrance on your wedding day! 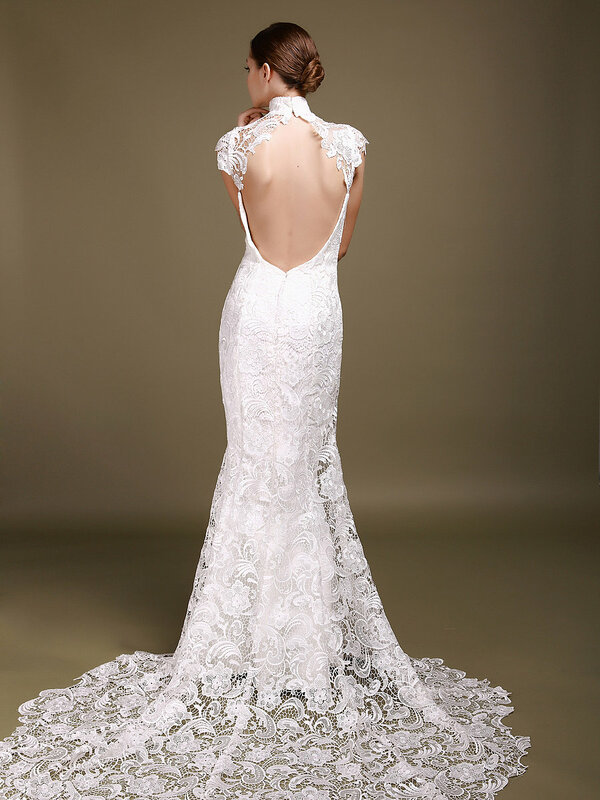 Be daring and bare your back with a breathtakingly low backless gown that will drop jaws and ensure you are the centre of attention on your wedding day! To help, we’ve put together a list of of our fave beautiful backless lace wedding dresses that will have you doing just that. We hope you enjoy our selection of wedding gowns that in our opinion are fit for a princess marrying her prince, of course.